This video was made by Baptiste during his internship in our team. Here are videos of a students’ project of a tracker robot that relies on an external kinect sensor driven through ROS. The kinect observes the whole scene. 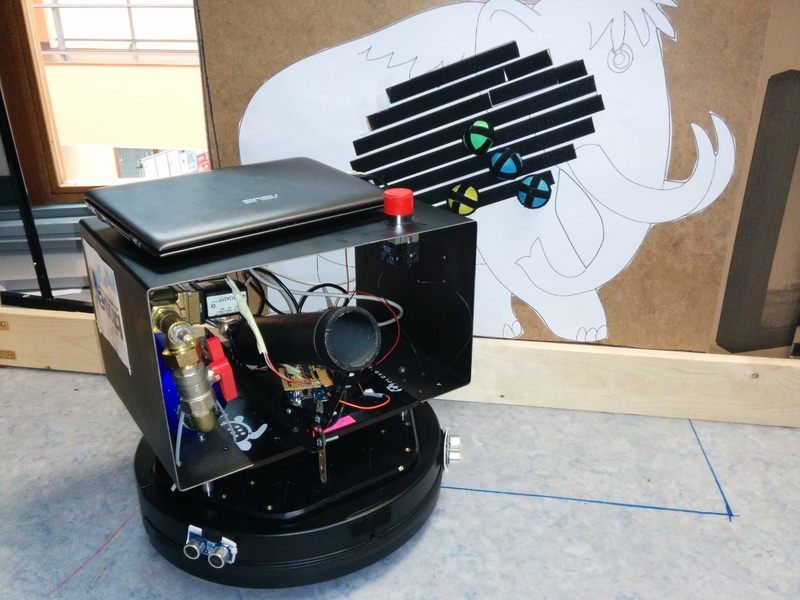 A PhaROS-based node controls the robot to track a ball based on the the kinect output. When no ball is detected, the robot goes back to a home position. Posted in Pharo, PhaROS, Video. We have already reported about a team of our students competing for the 2014 edition of the Eurobot contest (french chapter). The project where they have been using PhaROS is now over. Below the last videos. Hopefully a new team will be continue the effort next year and build up on what has been done so far. Xuan Sang Le is a PhD student who has joined our team mid-february. His work is co-supervized by Ecole des Mines and ENSTA is about speed optimization of Smalltalk robotic software by means of FPGAs. The first step is to develop an application fully in Smalltalk and our PhaROS Robotics framework that will serve as a reference for our metrics. The app we have chosen is a simple tracker robot that follows an object of a particular color. Beside being fun, the result shown by the video below is interesting. As we have initially expected we can’t pretend to be real-time. Still, Pharo is capable of fetching an image through wifi, process it and discover the position of the object 650 milliseconds. And this is with non-optimized code. Figures are likely to be better after optimization. Posted in News, PhaROS, Video. 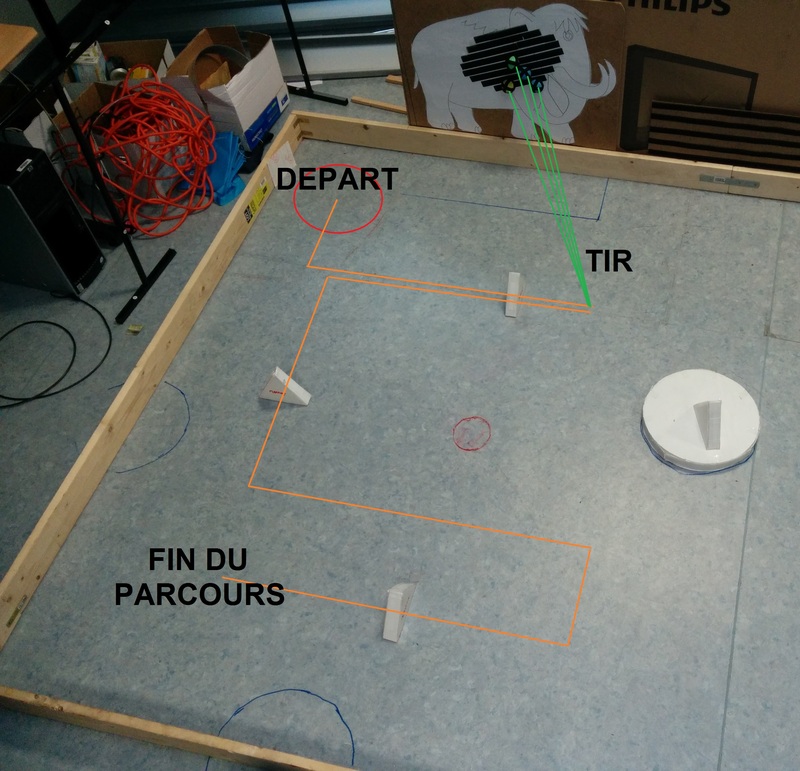 A team of our students is competing for the 2014 edition of the Eurobot contest (french chapter). Their PhaROS-based robot came to life. You can see it in action in the videos below. After initials tests we have made at the lab, we presented our RoboShop project on the 16th of October, as well as during 3 days from 21st to 23rd october in two different events outside our university. The stand was small. Yet we managed to successfully run our demo of a helper robot that targets shopping malls (see video below). We will be presenting even more demos to the public on thursday 28th november as part of the European Robotics Week. We will report them here. Stay tuned. Posted in Events, PhaROS, RoboShop, Video. In a recent experiment we demoed a scenario of how a robot can be used to help shoppers (see Video below). The robot computes the optimal path for picking items of an arbitrary shopping list. It carries the bag and guides the shopper to items locations. As we explain in the slideshow (below the video), there are other possible applications of mobile robots in a shopping. We also give a quick overview of hardware and software. We reused some existing ROS packages that we combined with our own software built using the PhaROS client based on Pharo a Smalltalk inspired OO dynamic language. Posted in News, Pharo, RoboShop, Video. As a recreation for Christmas holidays, I hacked Bot Grid Simulator to render a winter landscape. It is still a robot simulation, since snow flakes are robots with a simple behavior. There about 500 of them. Hope you’ll enjoy the video. Merry Christmas and happy new year 2012. Posted in News, Pharo, Video.